Borthwick Floors are specialists in the sale, installation and finishing of quality solid timber floors and flooring, including hardwood tongue and groove flooring, parquetry and also staining and liming of timber flooring. 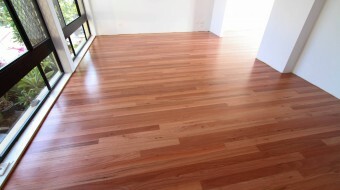 We also offer maintenance services for timber floors such as sanding, polishing and repair work. Borthwick Floors services the greater Gold Coast region, Brisbane, Sunshine Coast and Northern NSW region including Byron Bay, Ballina and Lismore. 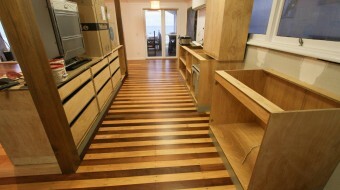 What are the benefits of choosing solid timber floors? 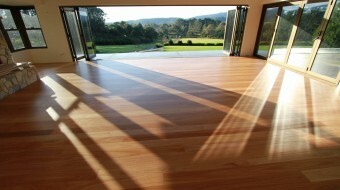 The benefits of choosing solid hardwood timber floors are infinite. Whether building or renovating your property for either domestic or commercial purposes, nothing beats the warmth and beauty of a solid traditional hardwood timber floor. Solid timber floors are modern and stylish today and the contemporary look will last a life time. Compared to other floor coverings that wear and eventually need replacing after a few years, the durability of a traditional solid timber floor is in a class of its own. It stands up to the heaviest traffic, withstanding the toughest conditions. Even after years of heavy wear, a simple re-sand and recoat will bring your floor back to its original finish and because of the depth and strength that traditional solid timber floors have to offer, it can be re-sanded more times than any pre finished floors. Fully licenced, insured and accredited. Call us today to quote on your timber flooring needs, you will be guaranteed of our friendly, attentive and reliable service and attention.